Alter The Press! 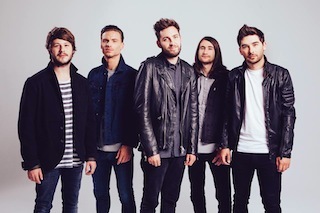 : You Me At Six Release New Song "Too Young To Feel This Old"
You Me At Six Release New Song "Too Young To Feel This Old"
You Me At Six debuted a new song titled "Too Young To Feel This Old," on BBC Radio One earlier today. You can listen to a low-quality stream of the song below. The track is taken from the band's highly anticipated new album, Cavalier Youth, that drops January 28th via Prospect Park Records.